The DATA and OBEY/SEAL pieces were created by webchick at Point.B Studio. Posters and other tchotchkes are available. When FDR was elected president, Augustus E. Giegengack, a working printer and regular leather apron man was inspired to public service, aspiring to be be appointed Public Printer of the United States, head of the Government Printing Office. Give it up for Gus in this 3-part New Yorker Series. Giegengack didn't know FDR, he didn't run in those circles. 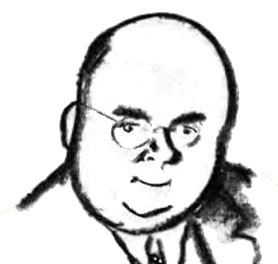 In WWI, he was the printer for Stars and Stripes, later on he ran operations for other print shops. So, to make his case, he went on the Rotary Club circuit in up-state New York and gave talks about his vision for the GPO. At the end of each talk, Augustus asked people to send him their letters of endorsement. Pretty soon he had a pile of 200 letters. Gus Giegengack took those letters, bound them up real pretty, and sent them to the White House. 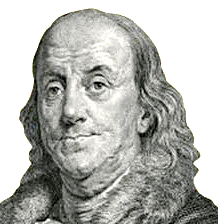 He got the job, and went on to become the greatest public printer since Ben Franklin, printer to the pre-united states. Gus had the gumption to go for the gold, and I am inspired by his example to tell you my vision for the GPO, an agency which opened its doors the day Abraham Lincoln was inaugurated, an agency which has worked to “Keep America Informed” for 148 years. If I were given the honor to be nominated by the President and the further honor to be confirmed by the Senate, my platform for revitalizing the GPO and rebooting .gov is spelled out in in a detailed series of policy papers submitted to the Presidential Transition Team. 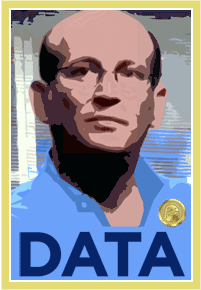 To endorse Carl Malamud for the office of Public Printer of the United States, comment on any blog post or, send your endorsement or any questions directly to Carl. 4. Security. GPO produces passports and other secure documents. The current design for passports uses an RFID chip, which means that an American can be picked out of a crowd merely by having a passport in their pocket. If nominated and confirmed, I would ask security expert Bruce Schneier to form a Blue-Ribbon Commission to reexamine the design of passports and other secure documents so we can better protect the privacy and security of all Americans. 7. Full Transparency. GPO serves all 3 branches of government. As the nation's service bureau, GPO must be fully transparent in its own financial affairs and should be a forceful and effective advocate for the public domain. Most importantly, the GPO must be fully transparent to its clients—the Congress, the Executive Branch, and the Judiciary. If nominated and confirmed, I would pledge to serve on the front lines of customer service, working to understand the needs of our clients and the public. For over 20 years, I have been publishing government information on the Internet. In 2008, Public.Resource.Org published over 32.4 million pages of primary legal materials, as well as thousands of hours of video and thousands of photographs. In the 1990s, I fought to place the databases of the United States on the Internet. In the 1980s, I fought to make the standards that govern our global Internet open standards available to all. Should I be honored to be nominated and confirmed, I would continue to work to preserve and extend our public domain, and would place special attention to our relationship with our customers, especially the United States Congress. Access to information is a human right and the United States of America is the world's leading producer of information. As the publisher of the United States, GPO plays a vital role in promoting useful knowledge, promoting the progress of science and useful arts, and promoting and preserving the public domain. Visit Carl's web site at Public.Resource.Org. Or, read what nytimes.com or boingboing.net have to say.